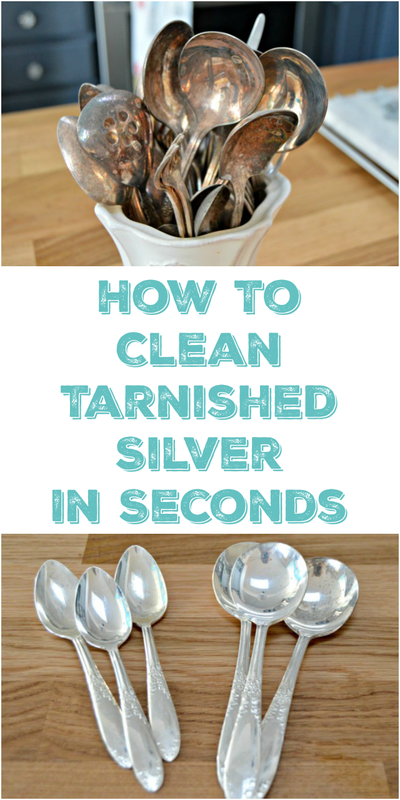 This tutorial on How To Clean Silver and Remove Tarnish is a lifesaver! It only takes a few minutes to do and seconds for results to happen. If you’d like to see the process and how well it works in real time, check out the video below! As you can see in the video, it works on sterling silver jewelry too…I’m not so sure about silver plated jewelry though! 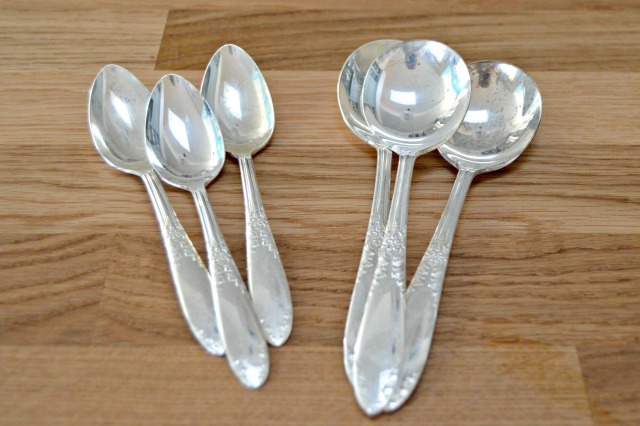 Read on to see the step-by-step instructions on How To Clean Silver! These are the silver pieces that I’ve been holding on to. I kind of like the way the looked tucked in this vase, but it was high time to let them shine. I started by filling a pot with water and adding a scrunched up ball of aluminum foil…yep, the stuff we use in our kitchens every day. Next, I let the water come to a rolling boil. Once the water was boiling, I added about a tablespoon of baking soda. I wish I had done this a bit differently to be honest, because I made a major mess. Next time I will use a large soup pot instead of a smaller one and I’ll only fill it half way with water, because once you add the baking soda, the water boils more heavily and expands, so there should be plenty of room for that to happen. My water/baking soda boiled over the edge of the pot and onto my stove. The good thing is that it was pretty easy to clean up once everything cooled. WARNING!!! Be very careful when dipping and removing the silver from the hot water. I used a pair of tongs to remove the silver from the hot water and placed them in cool water immediately and let cool before handling. Next, dip your silver pieces into the water, baking soda, foil mixture and allow to sit for about 30 seconds to a minute. 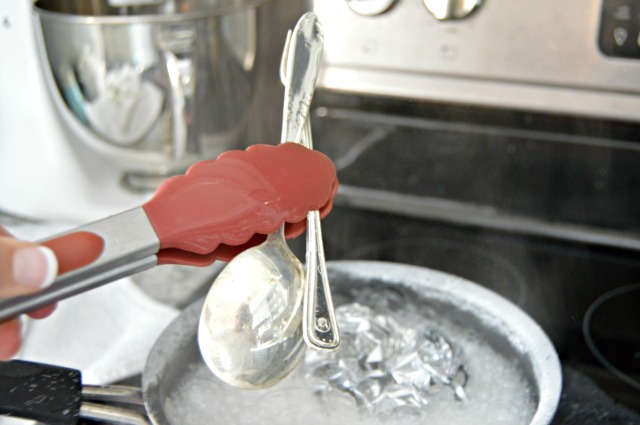 Using tongs, remove the silverware from the boiling water and rinse in cool water. The results were seriously crazy! I had no idea they would come that clean and am so glad I decided to keep the silver pieces and try to clean them. Check out the side by side before and after below! 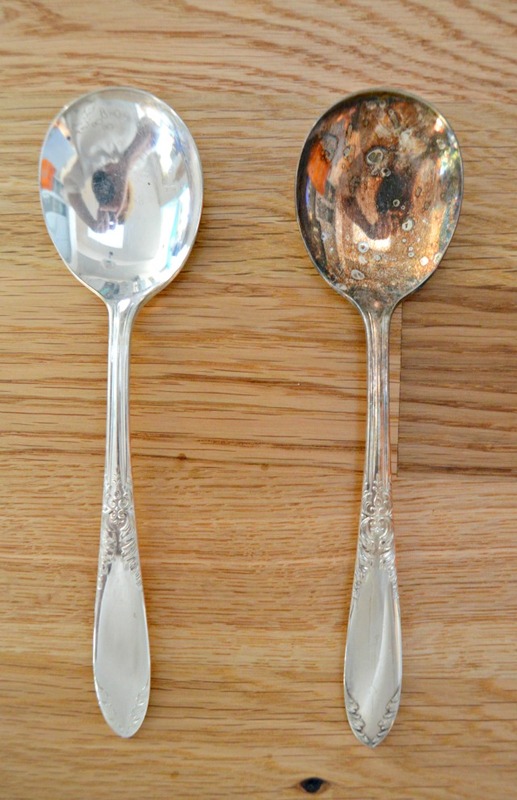 These were two similar spoons from my collection…isn’t the difference between the before and after crazy? I’ll be keeping my eye out for more silver pieces at flea markets and thrift shops to add to my collection now! I just love that I didn’t have to use any crazy chemicals to clean my silver and it was sooo easy! Want to get your jewelry clean too? 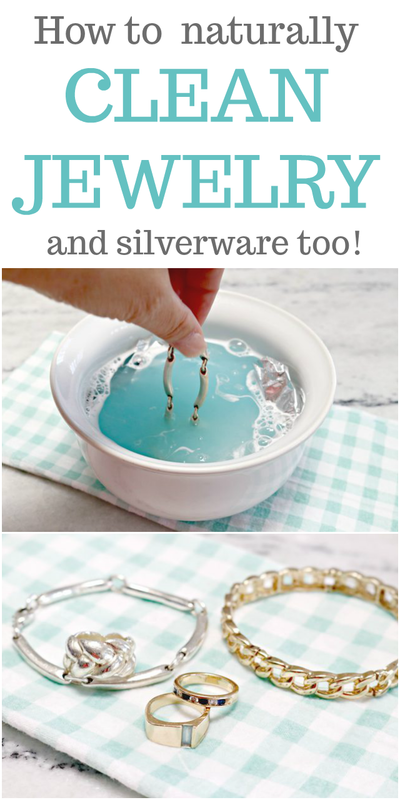 See my similar method showing How to Clean Jewelry Naturally HERE! 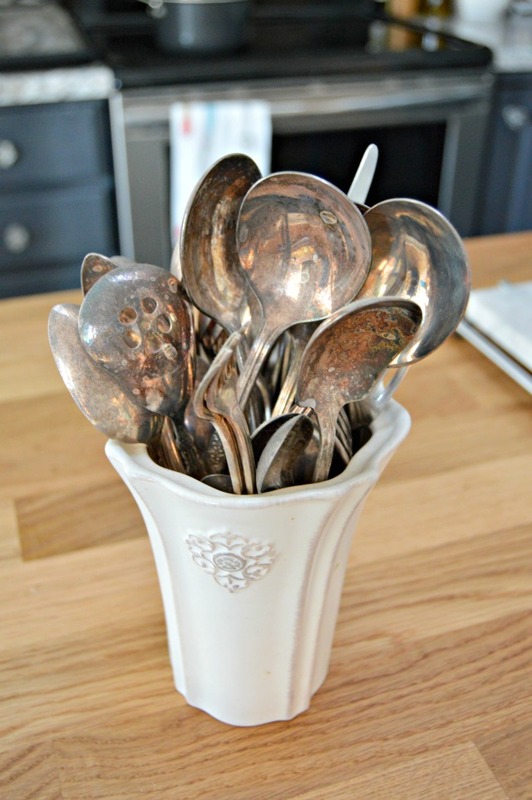 If you have any tarnished pieces of copper, check out How To Clean Copper Naturally HERE! started cleaning the silver? Thanks for the tip. Hi, Dotte! I did leave the heat on, but I’m not sure it’s necessary. You just need to be really careful when removing the pieces from the hot water…isn’t it amazing??? please what can i use to clean a dirty electric kettle, i actually bought a used one which had been used by previous owner roughly.and the stains are inside which is even more difficult.what method do i use to clean it. Hi can you use this method on sterling silver jewelry ? I’m not sure, but I will definitely try it and get back to you! I am a professional silversmith. This is called “electrolytic cleaning” . I used to have my kids demo this for science experiments in middle school. The hot water and baking soda act as a plating bath. You are doing electroplating, and the ions of silver sulfide (aka tarnish) are plated onto the aluminum foil. When the aluminum foil gets really dark (covered with the silver tarnish) it reaction stops working. You have to then use a new piece of foil. 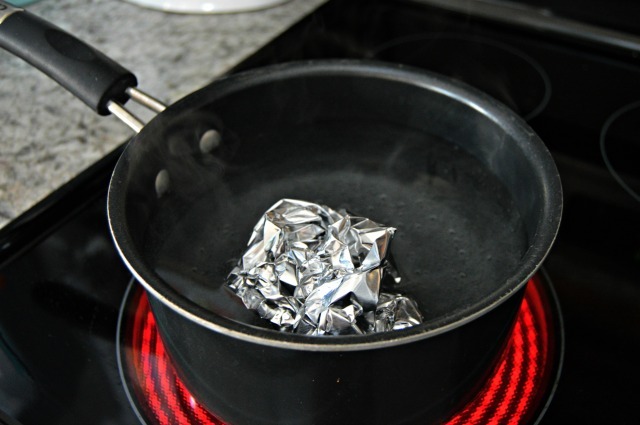 It is better to line the pot with foil. If your pot is aluminum (many readers will not know if their pot is), you will plate your pot. Note that it only works for light tarnish. It’s more of a novelty than a reliable technique. Also, pieces are often left looking gray and dull. When that happens, you still have to use conventional silver polish to actually make them look shiny. The cream or moist silver polishes work better. The kind that come in a short tub with a sponge. There are many brands out there. Also, any intentional patina (antiquing that is in the low areas for contrast) will be removed by this method. Tell your customers not to use this with sterling silver jewelry that has stones in it, and not plated silver jewelry. It’s ok for plated silver flatware and serving pieces. Plated costume jewelry usually has a much thinner layer of actual silver. 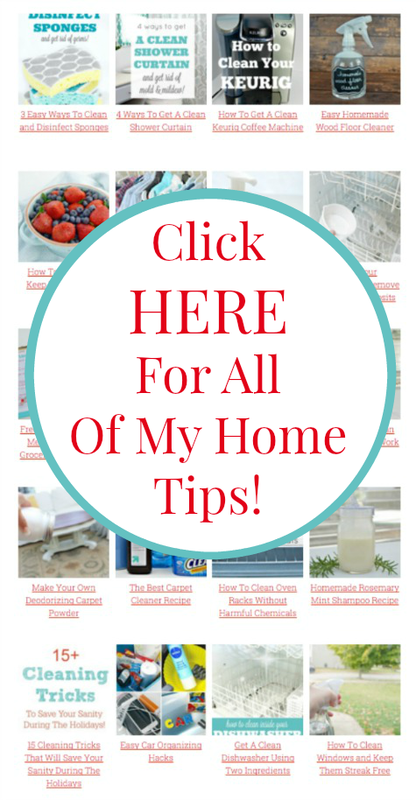 Thanks for all the information concerning the silver cleaning method. Above method did not work at all on my heavily tarnished antique silver. I’ll try again but will likely end up using the polish – a very tedious job! That is seriously amazing!! Thanks for sharing! Just used this to clean my great grandma’s silver set. I’ve tried everything and nothing worked. It this!! So excited! Thanks for sharing! For larger items, line your sink w/alum foil and pour boiling water w/baking soda over. Great for trays, coffee decanturs, pitchers etc. This really does work thanks for the pin!!!! I used larger pan. I was doing this the other day, dipping silver. I hurt myself so stopped and left the pot for a few days when someone could come empty it. The pot has discoloration (surprise!). Any idea how to clean off the ‘tarnish’? It isn’t a usul result, but neither is leaving the product in the pot for days. I bet your pot is aluminum. The “tarnish” is sulfur and the process works by transferring it to the aluminum. 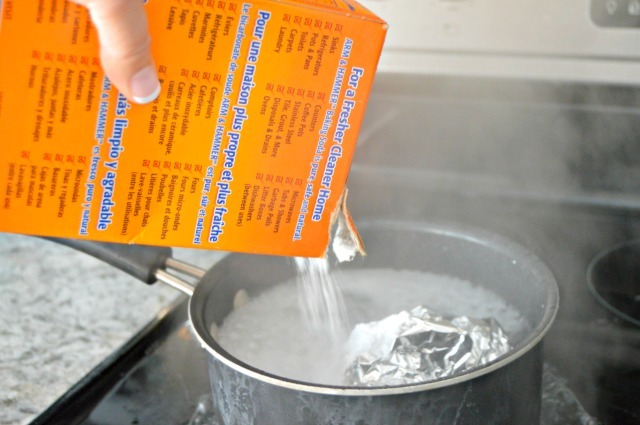 If your pot is aluminum …. well, that’s where the “tarnish” went. I found a crystal sugar & creamer set at an antique swap meet and the base of each piece was sterling silver. They weren’t too tarnished so I tried your method…….amazing. Totally worth the 15.00 bucks. Hi Jessica, can I use the SAme method for brass wear. I just tried this and it was AMAZING!! It worked like a charm. I could hardly believe how clean all my jewelry came out. Thanks so much for sharing this fantastic tip!